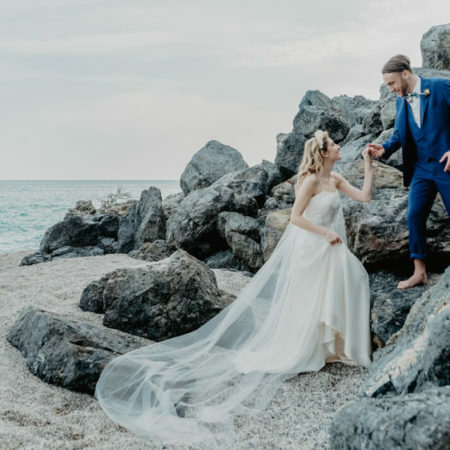 There is a true beauty to wedding style that is all about gorgeous bridal fashion, chic wedding details and elegant design choices that really inspires. 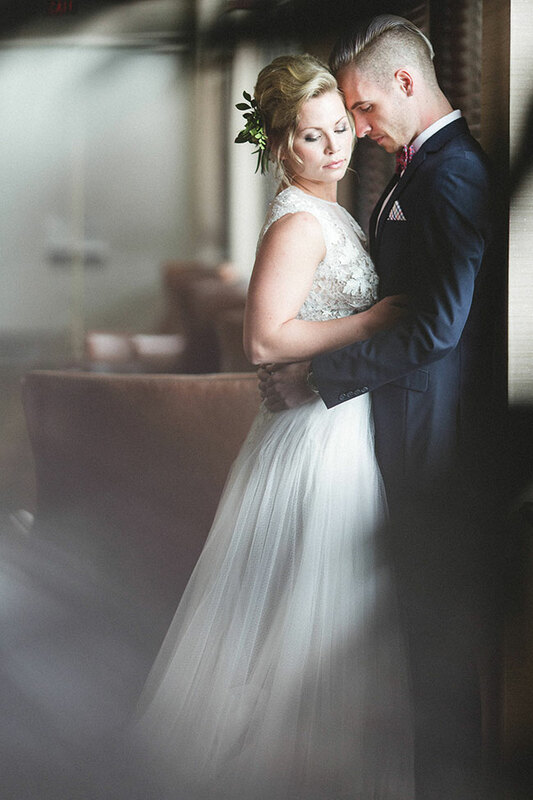 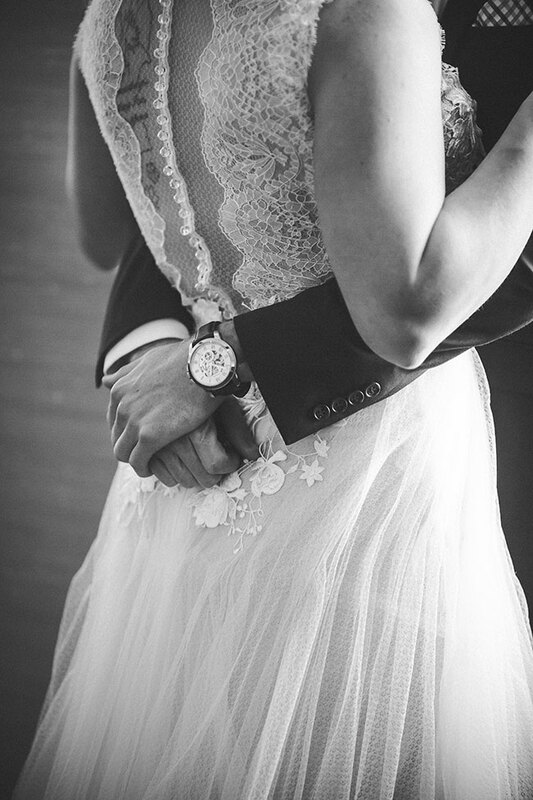 Such is the case with today’s hauntingly romantic workshop from Ohio wedding photographer DiBlasio Photography. 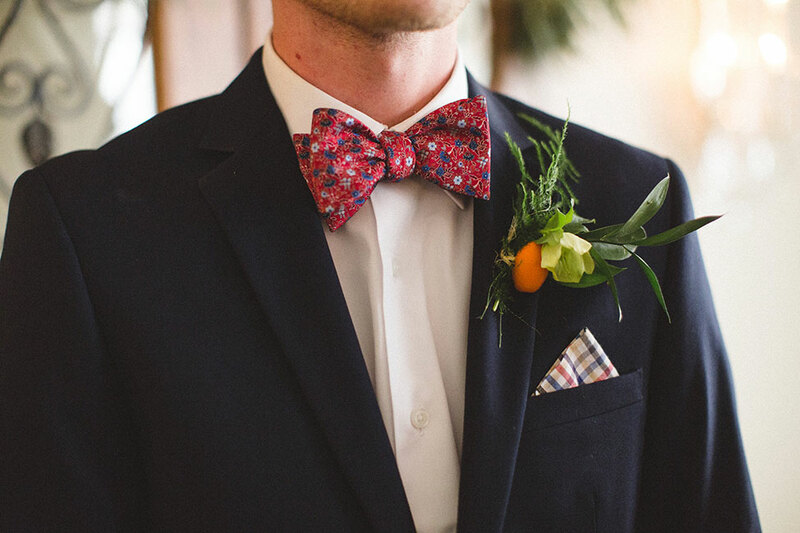 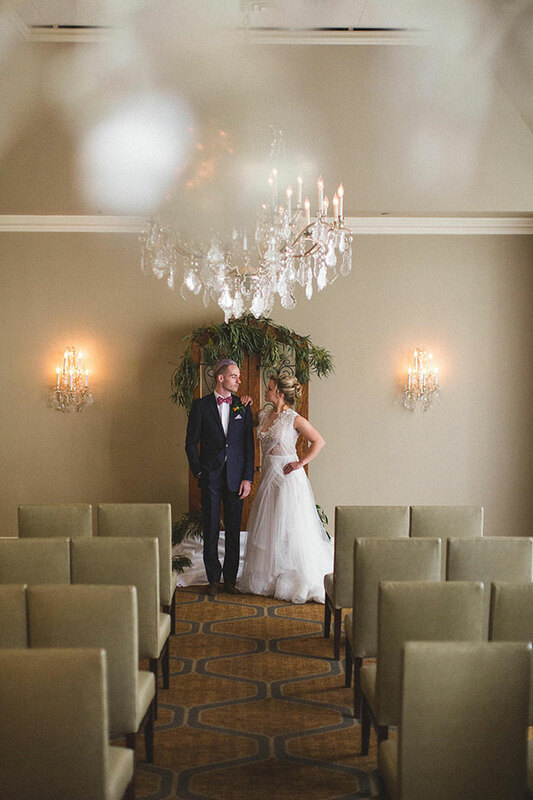 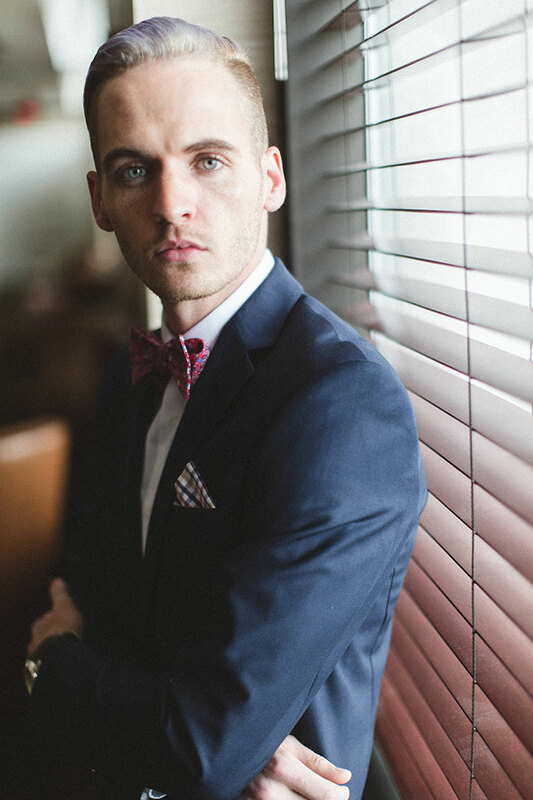 Set with a focus of putting together an elevated hip wedding, the styled shoot transforms the ballroom at the Double Tree Suites by Hilton Hotel Columbus Downtown with a few key stylish choices. 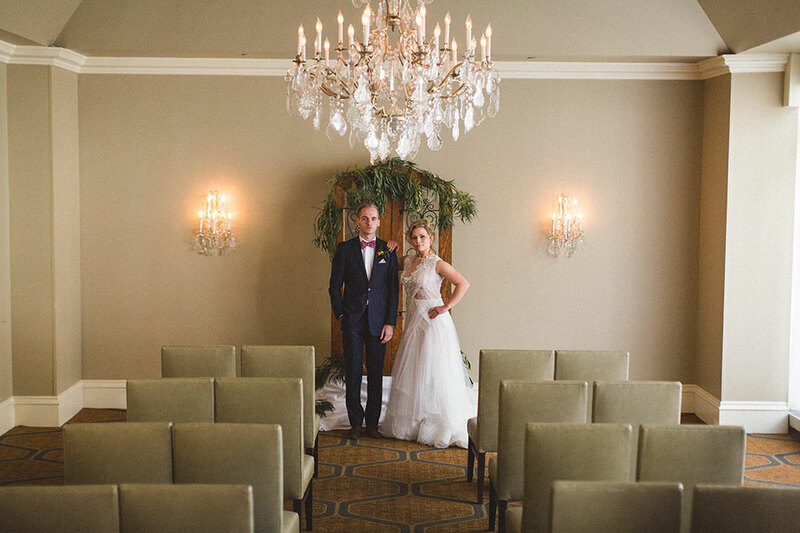 From the top down, the workshop is set into chic motion by way of the bridal fashion. 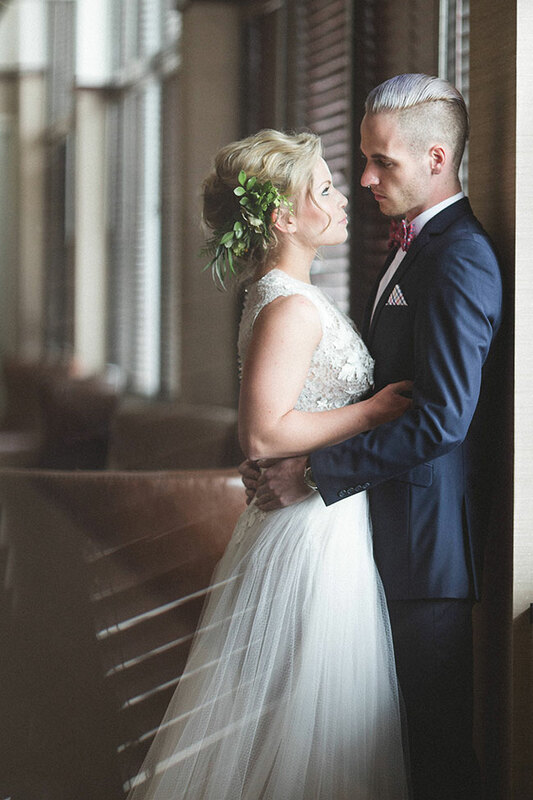 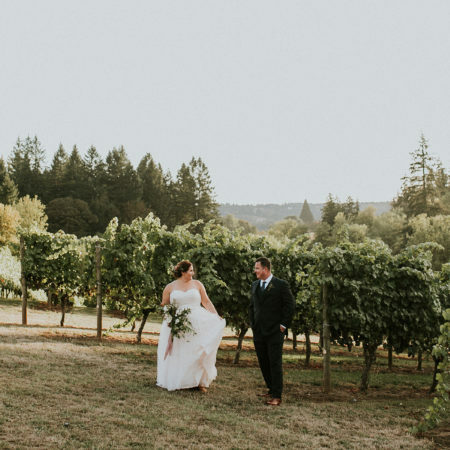 A stunning wedding dress from B.Loved Bridal, flowing bridesmaid dress in soft floral pattern from La Jeune Mariee Bridesmaids and a smart suit from Pursuit set the perfect tone. 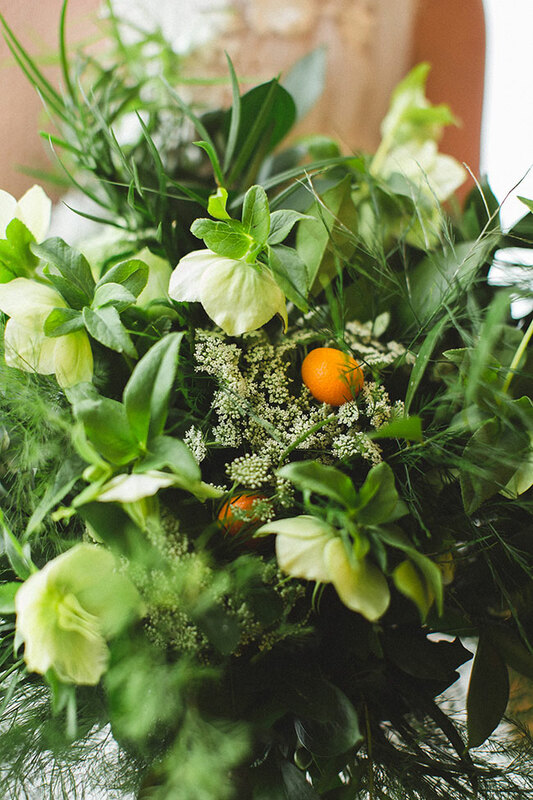 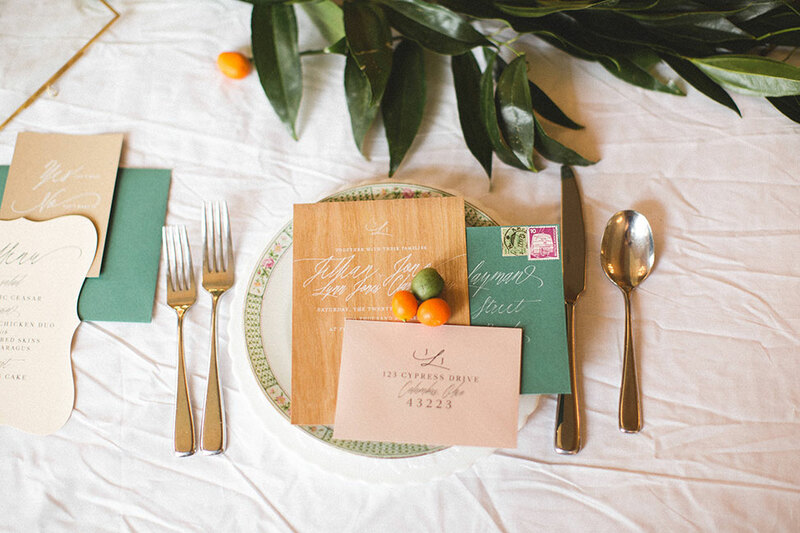 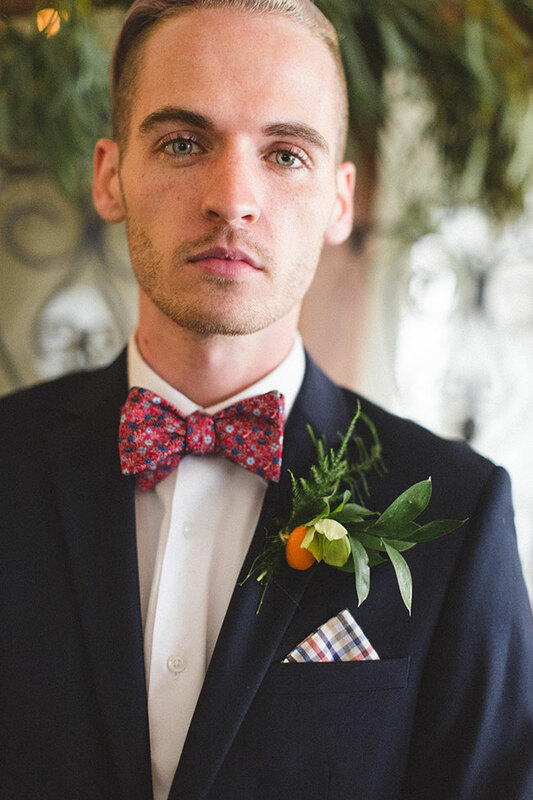 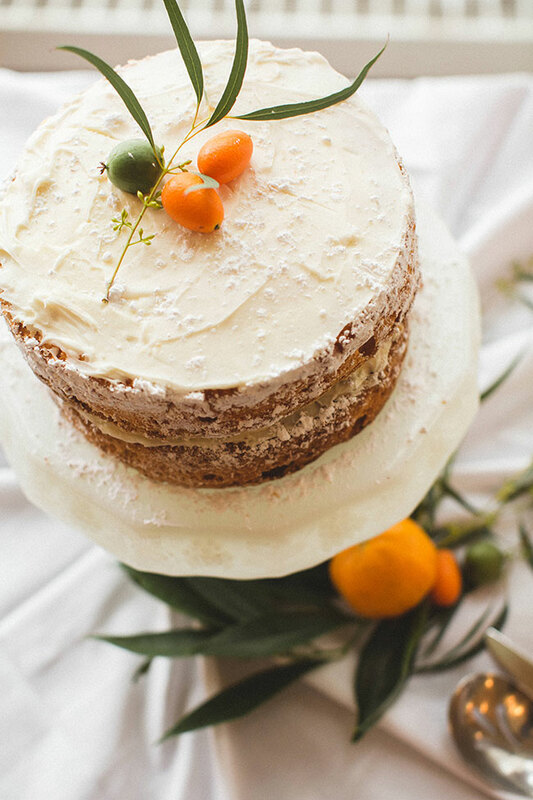 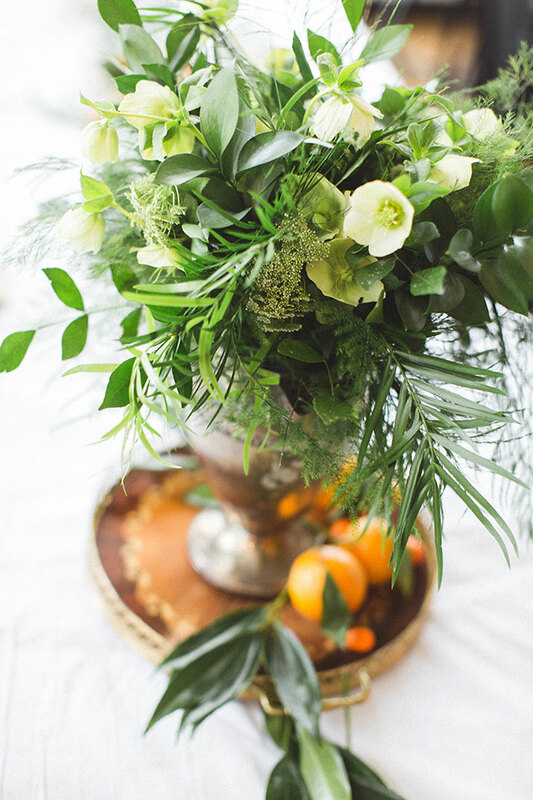 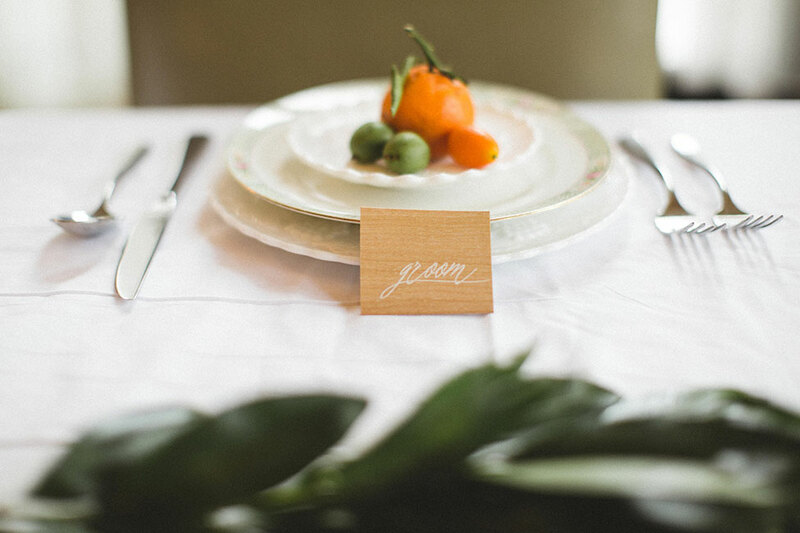 To elevate the hip wedding from a design standpoint, beautifully towing the line between stylish & minimalist, an organic palette of natural orange and deep greens were complimented with an ivory backdrop and pops of turquoise. 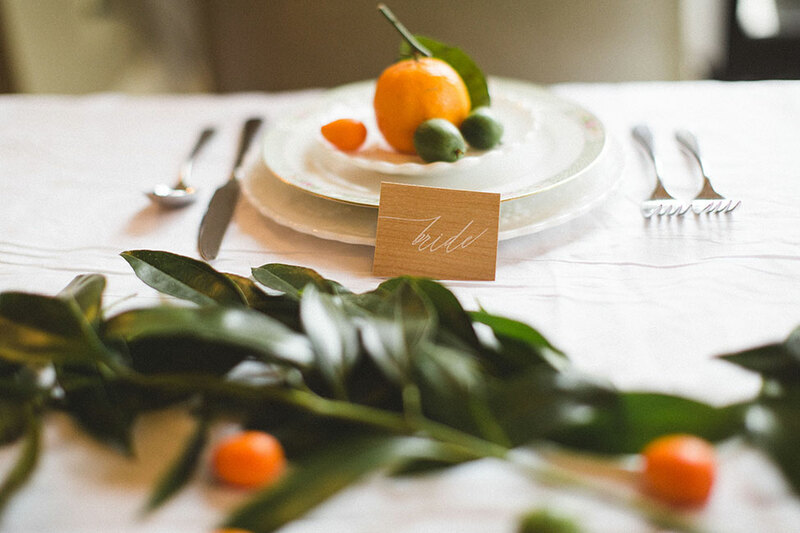 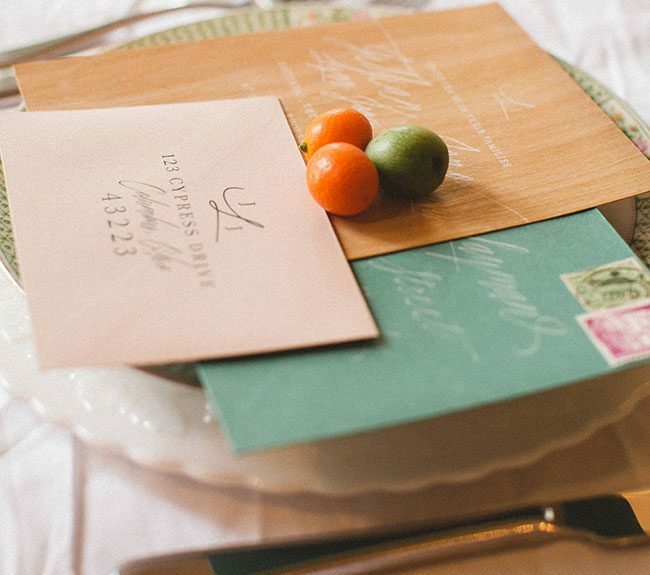 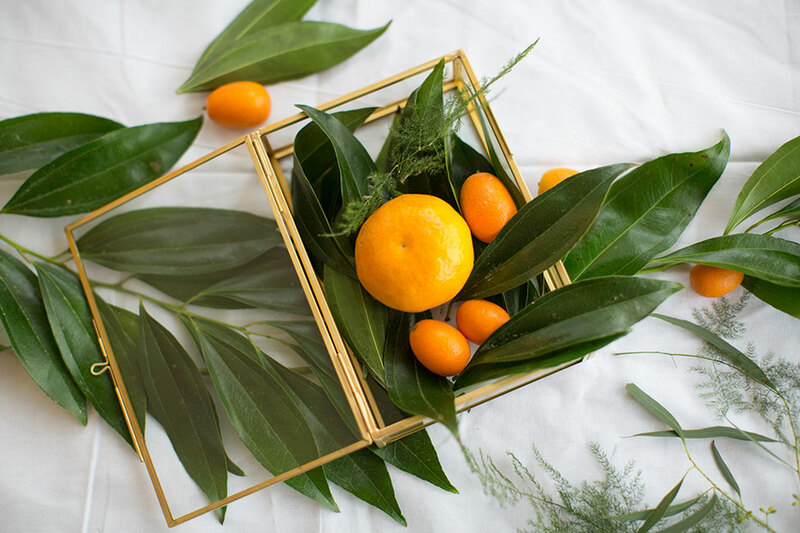 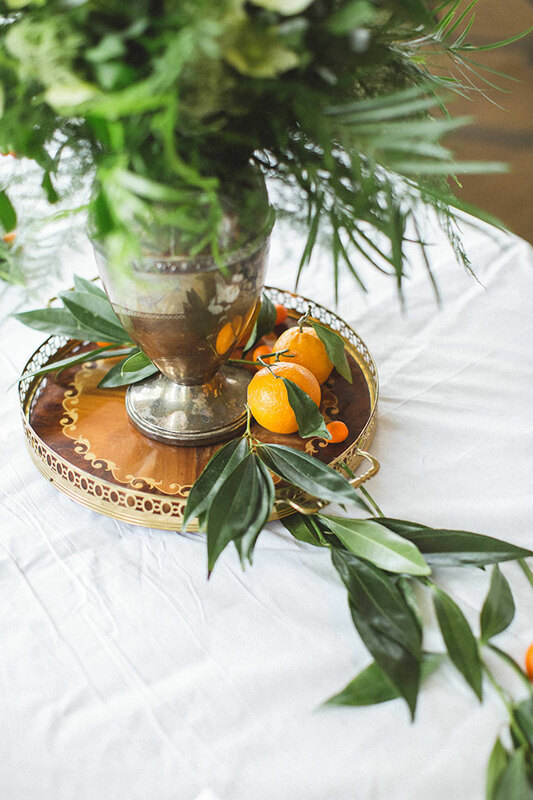 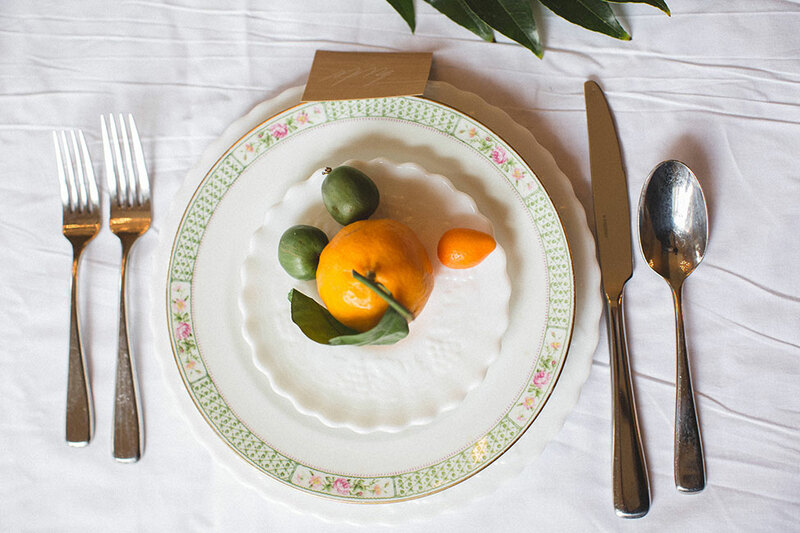 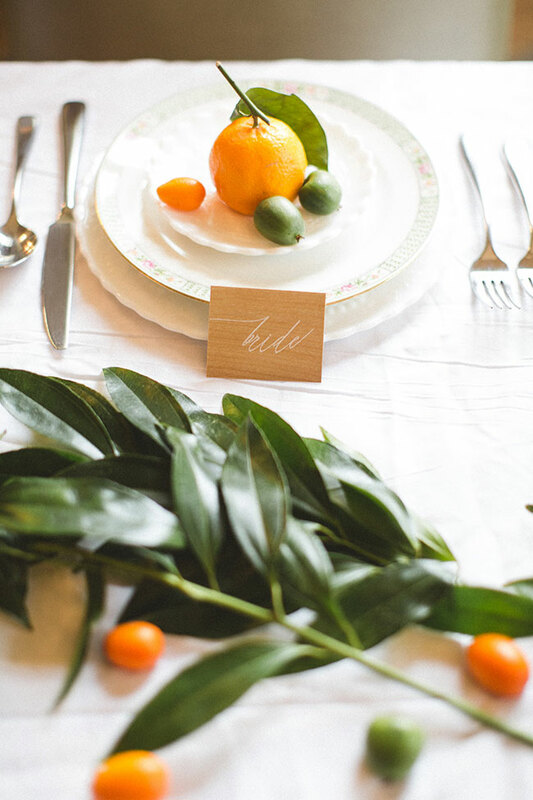 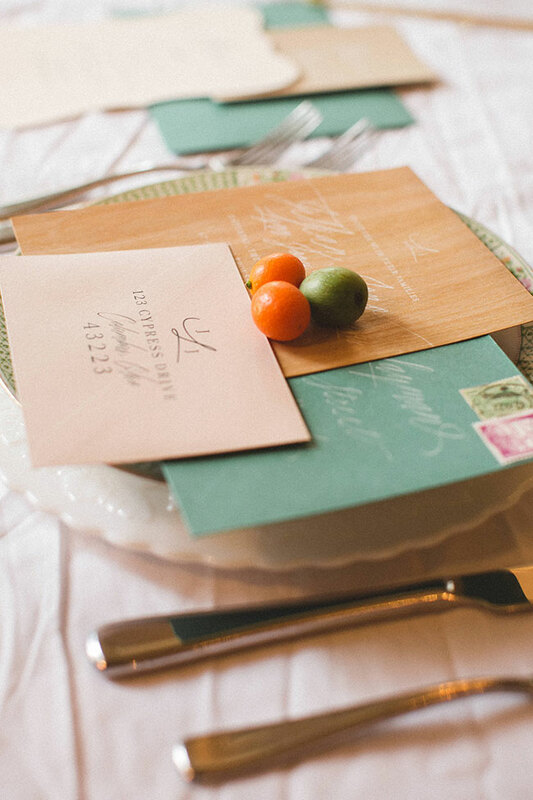 A simple three tier place setting was accented by hand written wood place cards, while kumquats and oranges injected an organic spirit. 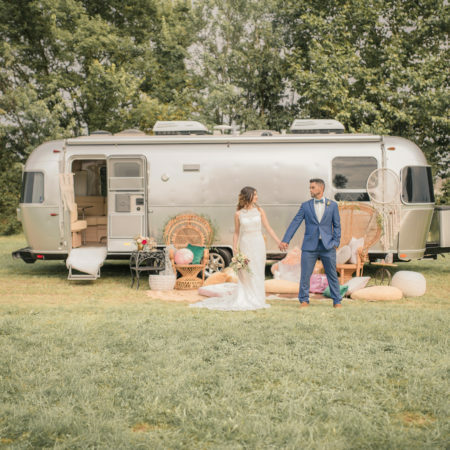 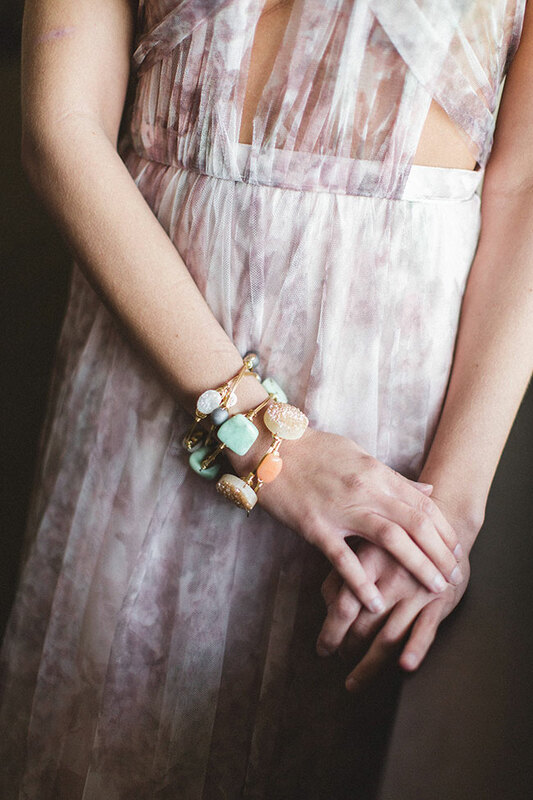 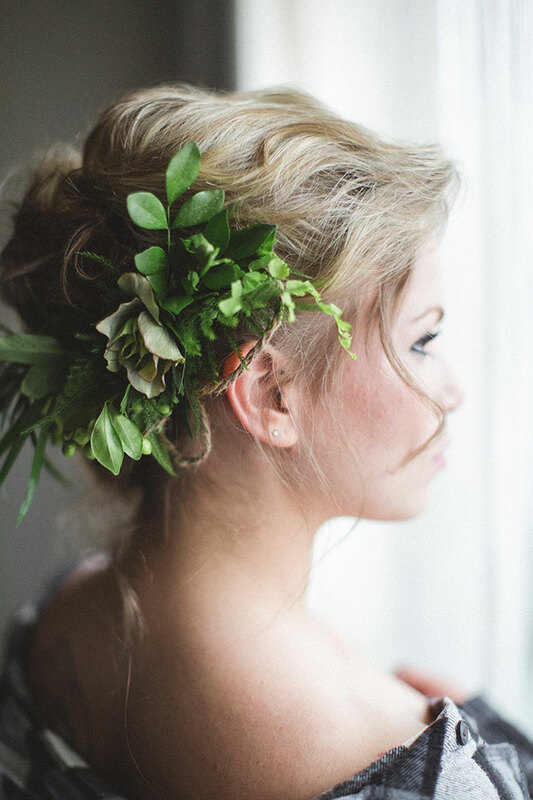 Whether you after hip wedding style or simply craving a way to transform a space, starting with savvy bridal fashion is an easy way to find your weddings dream design rhythm.